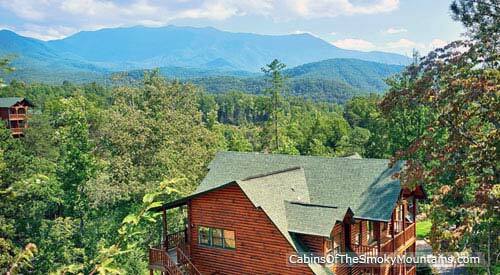 Located in Sevier County, Gatlinburg, TN is one of the southeast's most popular vacation destinations. Nestled in the heart of the Great Smoky Mountains, Gatlinburg is a charming town surrounded by high ridges, including Mount Le Conte, Sugarland Mountain, Cove Mountain, and Big Ridge. There's a little something for everyone in Gatlinburg, TN. Explore the great outdoors by going hiking or climbing in the Great Smoky Mountain National Park. Take the aerial tramway up to Ober Gatlinburg, where you can go ice skating year round, ski down the slopes, and enjoy a wide variety of rides and activities. Discover the wonders of the ocean at Ripley's Aquarium of the Smokies, ranked the #1 aquarium on Tripadvisor, where you can get up close with aquatic life like sharks, sting rays, and penguins. Go shopping in the numerous unique shops and enjoy a bite to eat with options including homemade fudge, tantalizing street food, and romantic fine dining. It's always a good time to visit Gatlinburg, as every season brings new activities to enjoy. During the spring, celebrate Easter Smoky Mountain style, participate in trout tournaments, or take part in the annual Wine, Dine And Art Crawl. Smoky Mountain Tunes and Tails is the must see event of the summer where you can enjoy street performances by musical performers, storytellers and artisans. Take in the beauty of changing leaves on the mountains during the fall while visiting the Smoky Mountain Harvest Festival and Oktoberfest. Celebrate the winter season with the Winter Magic event and the Festival of Trees. 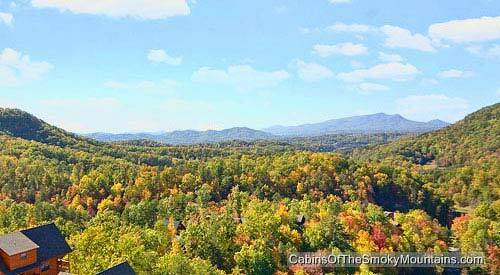 If you are ready to find the perfect Gatlinburg Cabin Rental, call 866-347-6659 today! Just six miles north of Gatlinburg, TN, Pigeon Forge is another popular family vacation destination with a special charm all of its own. Located along the Little Pigeon River, the city is named after an iron forge that was built in the area by Isaac Love around 1820. Although the town was an isolated hamlet during the early 20th century, the city saw a large boom in growth when the Great Smoky National Park was opened in 1934. Pigeon Forge proves that you don't have to visit Broadway to see great musical theater entertainment. With a wide variety of styles represented, including bluegrass, gospel, pop, rock, jazz, and more, there's a show for everyone, no matter what kind of music you love. Or you can enjoy comedy shows and plays featuring memorably hilarious characters and casts that will have you rolling in laughter. No trip to Pigeon Forge is complete with a visit to Dollywood, recently voted the world's best theme park. Looking for more amusement park thrills? There are plenty of other amusement attractions to visit in Pigeon Forge where you can race go karts, play mini golf, and more. Knoxville's McGhee-Tyson Airport is only 35 miles away and is served by seven airlines: Delta; Northwest; USAir; American Eagle; United/United Express; TWA and ComAir. The Gatlinburg/Pigeon Forge Airport, seven miles from Pigeon Forge, has complete airport facilities for small private aircraft. such as Lexington, Indianapolis, Cincinnati, or Louisville Take I-40 East from Knoxville to Exit 407, turn right onto State Route 66, continue until first major intersection in Sevierville and turn left onto U.S. 411, follow U.S. 411 to State Route 416, turn right onto State Route 416 and follow until reaching U.S. 321, turn right onto U.S. 321 and continue until you reach Pigeon Forge/Gatlinburg. including Richmond, Raleigh, Greensboro, Winston-Salem or Charlotte Consider I-40 West to Foothills Parkway Exit 443, turn onto U.S. 321 and continue until you reach Pigeon Forge/Gatlinburg. including Charleston, Columbia, Greenville, Spartanburg, Asheville, Jacksonville, Miami or Daytona Beach Consider I-26 to I-40 West to Foothills Parkway Exit 443, turn left onto U.S. 321 and continue until you reach Pigeon Forge/Gatlinburg. Memphis or Nashville Consider I-40 East to Exit 364 at State Route 95, then U.S. 321 East continuing through Maryville and Townsend, then Highway 73 to Pigeon Forge/Gatlinburg. Tampa, Montgomery, Birmingham, Macon, Atlanta or Chattanooga Consider I-75 to exit 81 at State Route 95, then Highway 321 East continuing through Maryville and Townsend, then Highway 73 to Pigeon Forge/Gatlinburg. From the colors of fall to the winter wonderland of winter to brilliant sunshine in spring and summer, there’s never an off-season in the Smokies. Most restaurants and attractions are now year-round in Gatlinburg and Pigeon Forge. The National Park Service publishes average temperatures along with rain and snowfall (listed below) to help you determine the best time to come to play golf, go hiking or skiing, or just to relax during your favorite season.